Last week we were in Mysore and we went to Lalit Mahal palace helipad to witness Kite flying competition, part of Dasara festivals. It started at 10 AM but that was just registration. 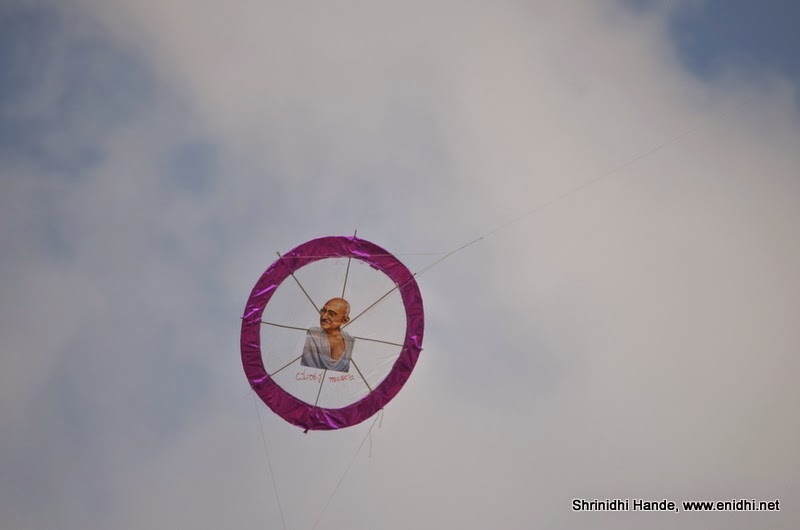 Actual flying would start only by 11.30AM and would go on till evening, with each participant getting 10 mins to exhibit his/her kite flying skills. We didn’t have the luxury of time to stay back there till evening, so we spent an hour or so and left. 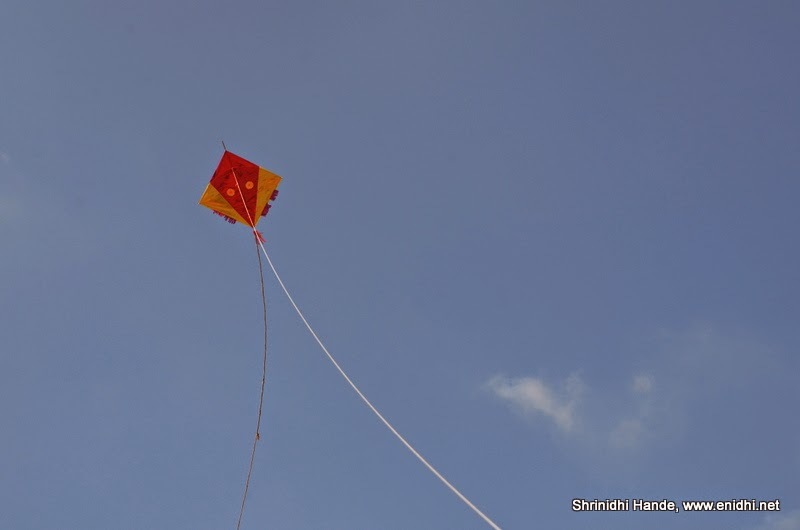 In that period, we bought a kite (Rs 50 for the kite, Rs 20 for the thread) and practiced kite flying. It was real fun. 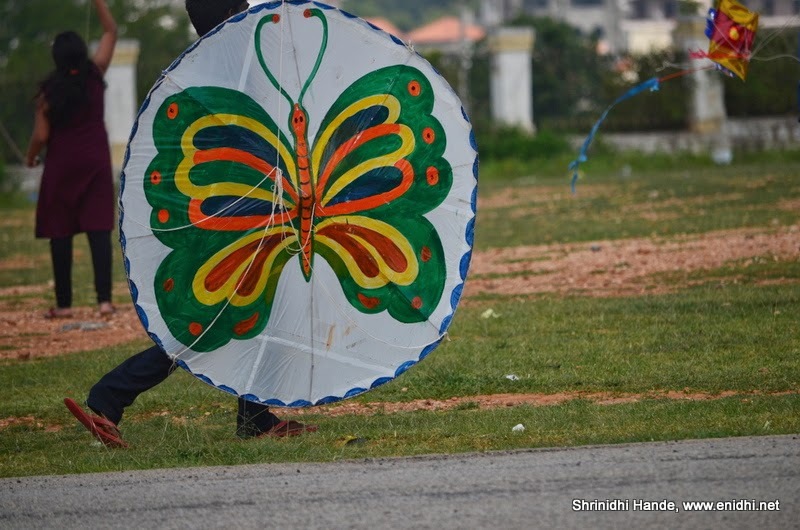 There were many others- participants or not flying their kites. Below are some of the good ones I clicked. 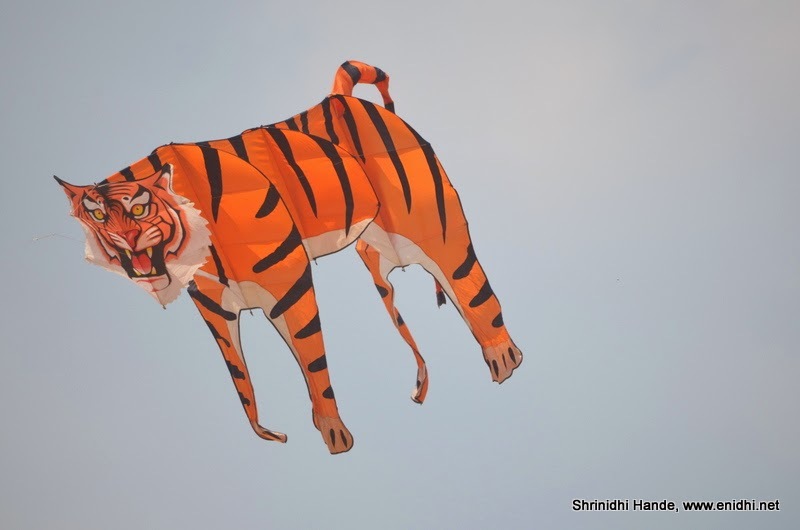 The tiger shaped kite was the most attractive one and looked extremely real... Lots of thought has gone into the design of this kite. 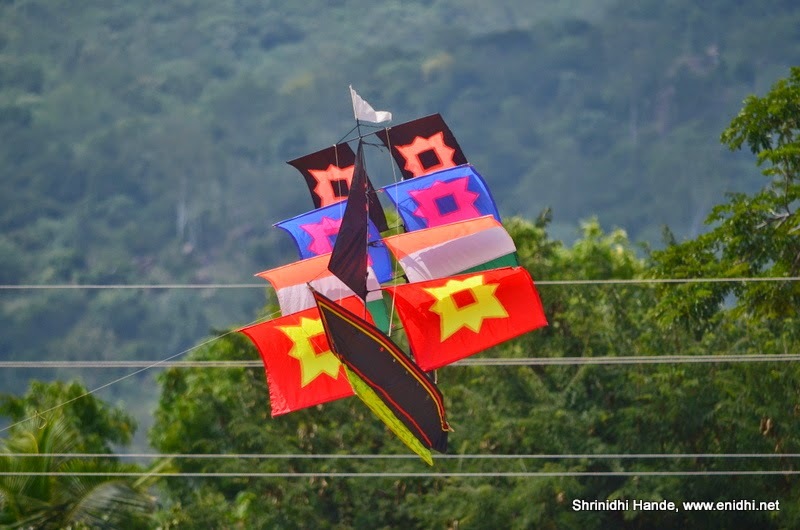 For the competition, each participant will get 10 minutes to fly his/her kite, during which he/she will be scored based on multiple factors like the height it reaches, design of the kite, skill of the participant in flying the kite etc. If the kite touches ground, then participant is disqualified. 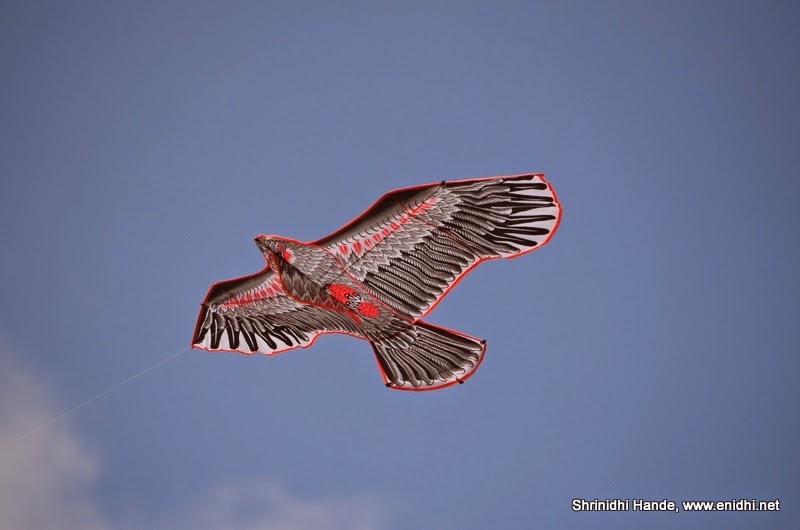 (He/she needs to keep the kite in air for 10 mins, wind or no wind). There were many other rules as well. 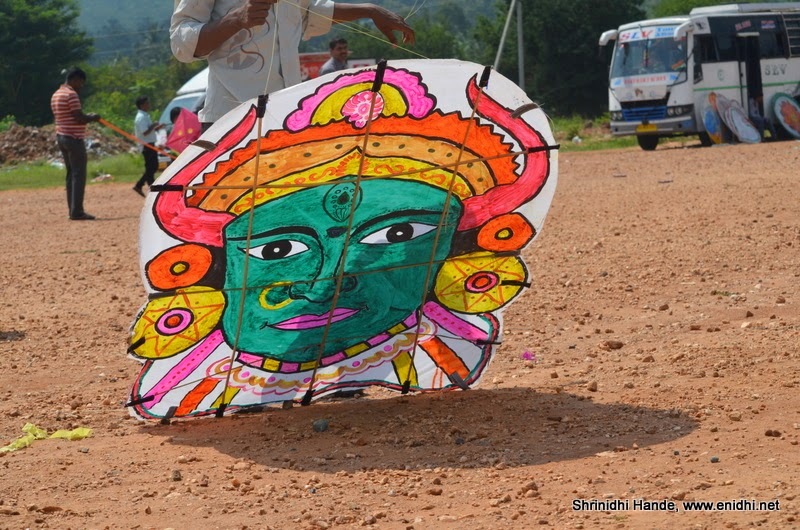 There were special prizes for eco-friendly kites etc. 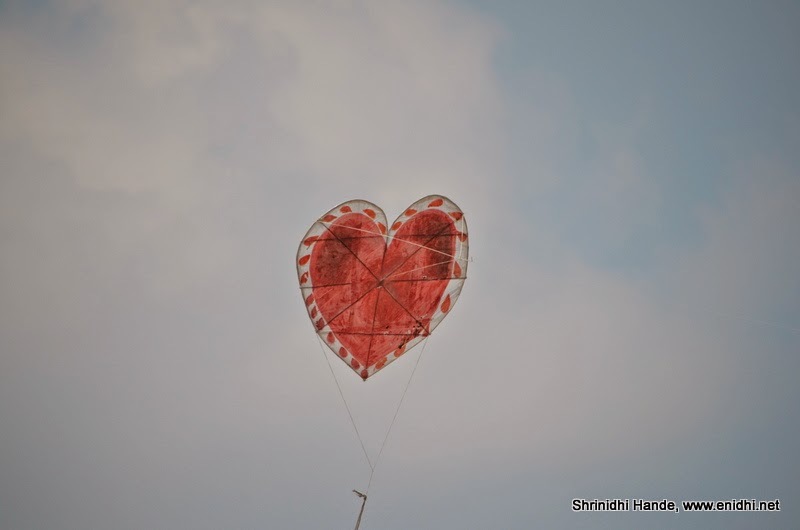 As we were flying our kite, an ETV crew came and took our byte about kite flying experience. Not sure if it got aired. Oh! You flew your own kite too! Great! @Anita: Thanks for asking. Added our kite photo at the end... it was a simple one.. 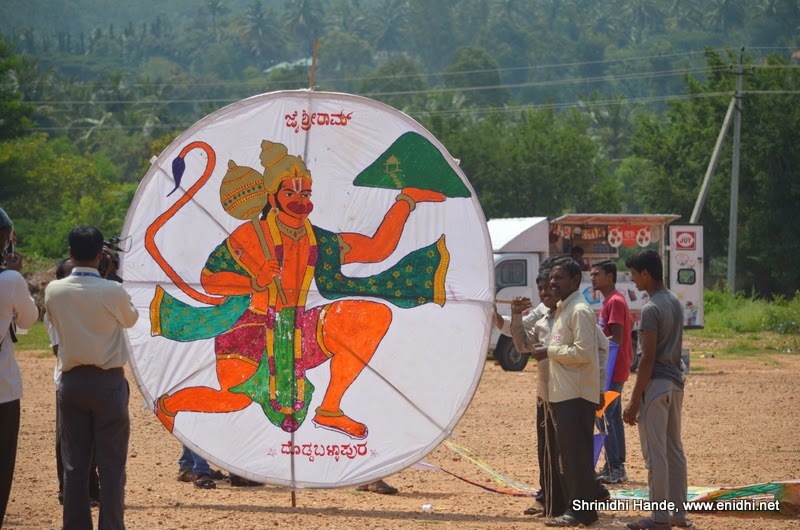 I have never been to see the kite festival in Mysore. 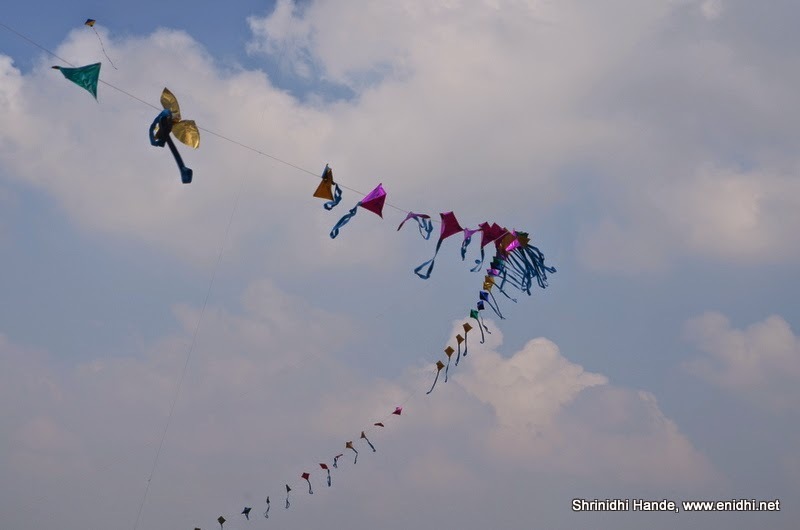 Must be fun to see the different kites or just gaze at the sky dotted with the beauties.